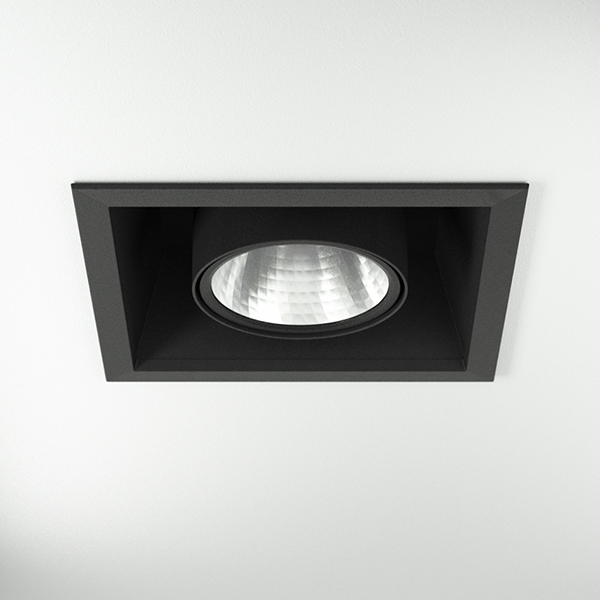 Recessed down light with fixed position of lamp house, chip on board and separated NL Power LED electronic ballast for optimal life time and light flow performance. High quality reflector with four different beam spreads. Lamp housing of die-cast aluminium for optimal cooling and low weight. Colours: White, black and grey.